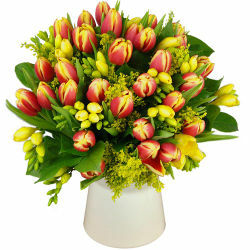 Easter falls on the 21st of April 2019 and is a celebrated springtime event – which obviously means it's a great floral occasion, with all those fresh spring flowers in season. 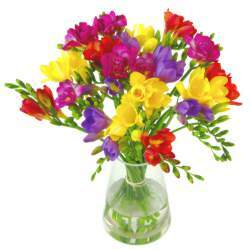 Here at Clare Florist we've been selling Easter flowers online since 1996, so we have the experience and expertise to make sure you get exactly the flowers you want! 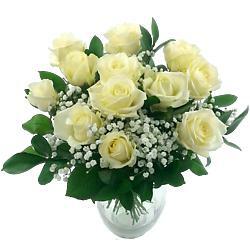 We also have a wide range of Roses, Freesia, and Lilies, as well as Classic Bouquets, our Colourful Flower Bouquets and our range of Cool Value Flowers. 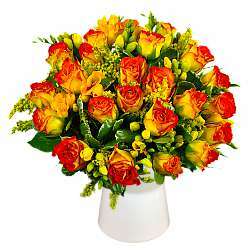 Our Home Page can tell you more about our extensive range of flowers for Easter, all available for next day UK flower delivery! 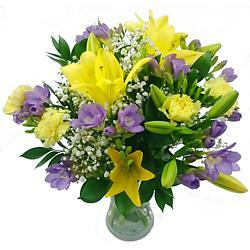 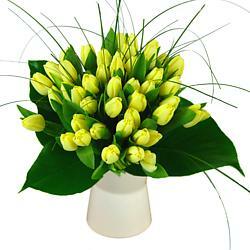 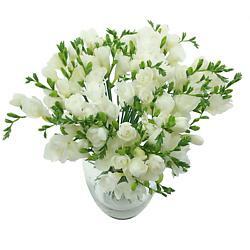 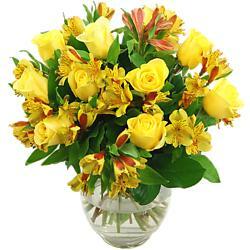 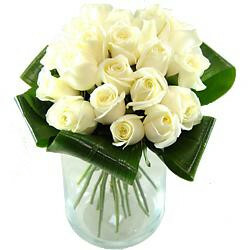 The custom of sending Easter flowers to loved ones tends to involves lilies, a traditional flower of Easter. 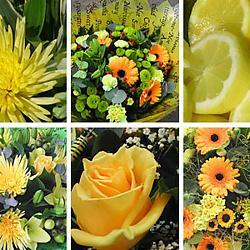 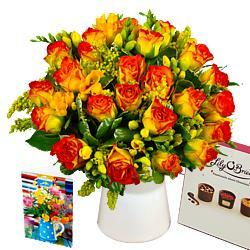 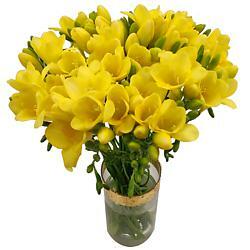 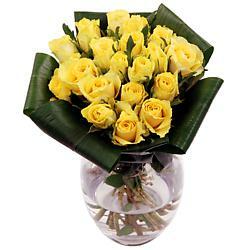 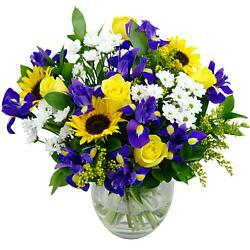 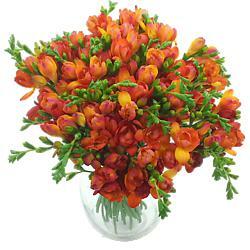 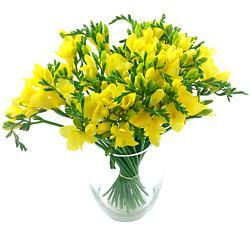 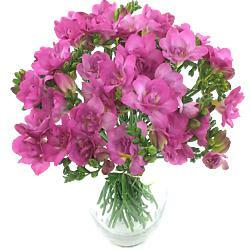 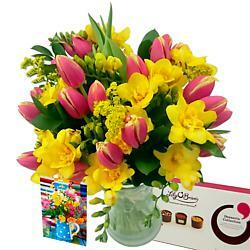 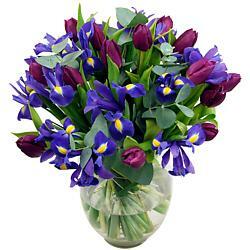 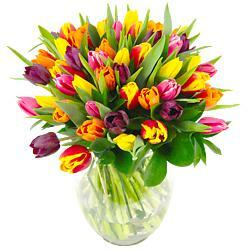 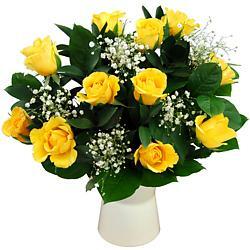 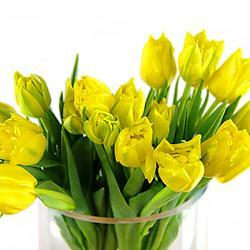 Other seasonal springtime stems such as tulips and irises are also popular as Easter gifts. 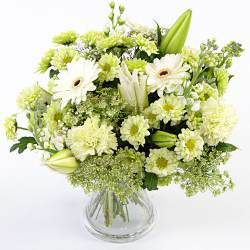 As well as having a beautiful bouquet of Easter flowers delivered to a loved one, it's also a great idea to decorate your own home with floral arrangements, especially if you're hosting a family gathering such as Sunday lunch. 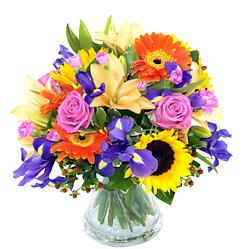 An Easter bouquet filled with colourful lilies and other spring flowers would make for the perfect table centrepiece for your guests to fawn over! 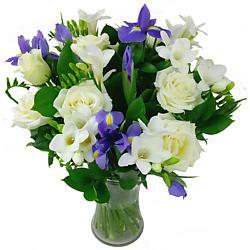 You may be wondering why specifically the lily flower always seems to hold the strongest connotations with Easter. 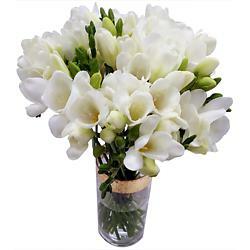 The reason for this is mainly religious - there are many fascinating tales within Christian mythology involving lilies, such as the legend that Eve's tears caused lilies to grow up out of the Earth after she was cast out of the garden of Eden. 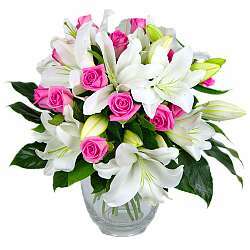 Lilies and other spring flowers are also thought to signify optimism, faith, hope and re-birth, strong Christian themes during Easter. 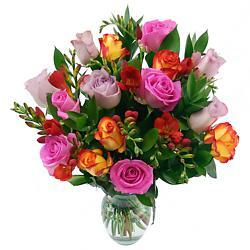 If you need to send Easter flowers for delivery today, we also have a range of flowers on our Same Day Flower Delivery page, for those urgent last-minute preparations.